Florida seems to have become the land of vote recounts. In the span of just a few days, the lead of Republican Governor Mr Rick Scott has dropped from 57,000 votes to just 15,000. Whereas the Kremlin in Russia has the Pravda to make voters understand ‘what happened’, the Democrats let their mouthpiece, the New York Times, explain that ‘undervotes’ and ‘ballot design’ are to blame this time round. Allow me to state here that if you start counting votes by how much they would have gotten in theory, then according to that same NYT of course, Mrs Clinton would have won the Presidential Election in 2016 by 90% according to the poll published on their front page daily in the last month before the election at the time, and we all know how that ended. 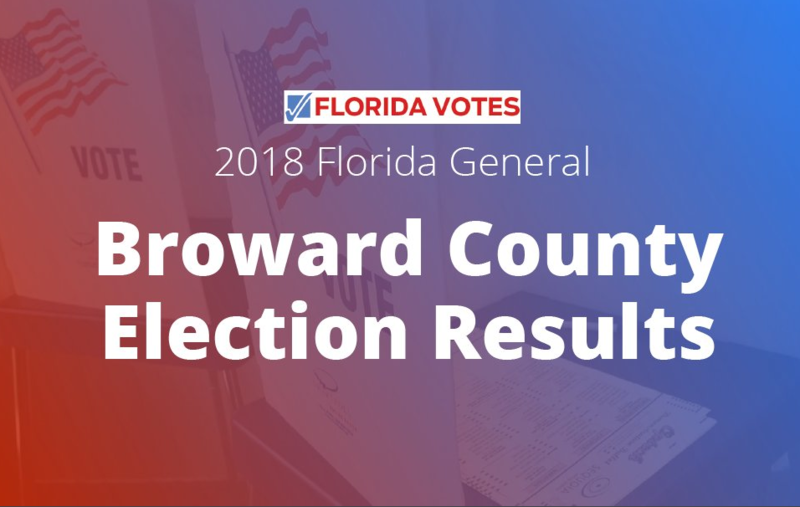 Perhaps it is also possible that the Democrats should start by admitting that the strangeness of all mysteries always taking place in Broward County is also a leading contender in explaining why so many conspiracy theories already surround the vote recount. The 2 most corrupt election counties in Florida. Time to be monitored by the Federal Elections Board and the US DOJ for civil rights and voter fraud. BTW: What was the latest estimate of Fla. voters who are also registered in other states? Because as we know many Fla residents are NY/New England Transplants. NOTE: Several Southern states have tried to purge dual voters years ago and suddenly the Liberal controlled states refused to share voter rolls. I live in WI and it’s nutz how many snowbirds we have, and if we have them so do many other states. Snowbird = someone who winters down south cause winter sux! It is high time examples be made of these folks.